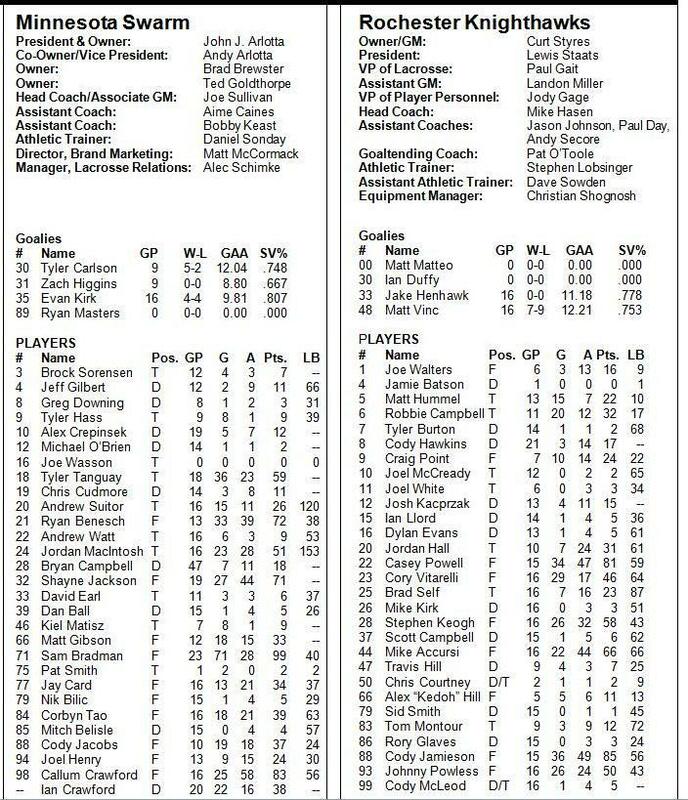 The rosters have been released for tonight’s pre season game between the Rochester Knighthawks and Minnesota Swarm at Blue Cross Arena, and is below. Brock Sorensen and Kiel Matisz are both on the Swarm roster after not playing against Colorado last week. Meanwhile, we will see Casey Powell play for the Knighthawks for the first time. Jordan MacIntosh is listed as active on the roster below.